Isabella�? ?s story is just like your story: seeking the highest and best life experience here on Earth and beyond. And just like your story, Isabella longed for more: more love, more knowledge, more connection. Her spiritual journey started in childhood, being born to two physician parents. She sought more than the traditional healing journey, asking her parents why they couldn't just totally cure people if they had medicine. This led her, as early as a middle school student, to seek beyond traditional medicine and read alternative medicine books to expand upon her knowledge. When asked this question, Isabella likes to say that her home is in her heart�?� and she means it. She moved over 30 times and lived in four countries: France, Spain, Romania and the United States and enjoyed every minute of it. Born in Romania, she moved to the United States at a young age where she resides today. She travelled extensively throughout Europe and the US. 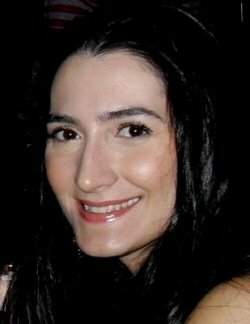 Isabella is fluent in and can hold workshops in English, Romanian, French and Spanish. *****What does Isabella think of Drunvalo�? ?s work? Over the last 9 years, Isabella practiced many techniques, yet none quite as powerful as the teachings of Drunvalo Melchizedek. What Isabella finds most valuable in his work is the certainty that the process to arrive in the Space of the Heart can be achieved by anyone. Isabella feels this is key, and because it is a repeatable process, anyone can return to this Space of the Heart. Over time, practicing the meditations and exercises from the �? ?Awakening the Illuminated Heart Workshop�?� can bring you to a place of unbound happiness and pure joy, prosperity and blissful relationships. *****What is Isabella�? ?s teaching style? Isabella�? ?s teaching style is warm, �? ?keep you on the edge of your seat�?�, while keeping the students engaged in the beautiful story line that is �? ?Awakening the Illuminated Heart�?�. Students like the way she presents the information in a very clear and easy to understand way. The enthusiasm and passion she brings are immediately obvious. Teaching each workshop alongside the love of her life, Tony, they give participants both the feminine and masculine perspective, which is a rare happening indeed.